The coroner’s inquest into the death of American college student Mark Dombroski began on Monday. Mr Dombroski, a 19-year-old student at St Joseph’s University, was in Bermuda to take part in a rugby tournament in March 2018. He went missing in the early hours of the morning on Sunday, March 18, 2018. His lifeless body was later found at the bottom of a significant drop at Fort Prospect on the afternoon of Monday, March 19th. Some of the Dombroski family were present at the inquest, which saw Police Sergeant Travis Powell present audio and video testimony from four witnesses, three of whom were his rugby teammates. 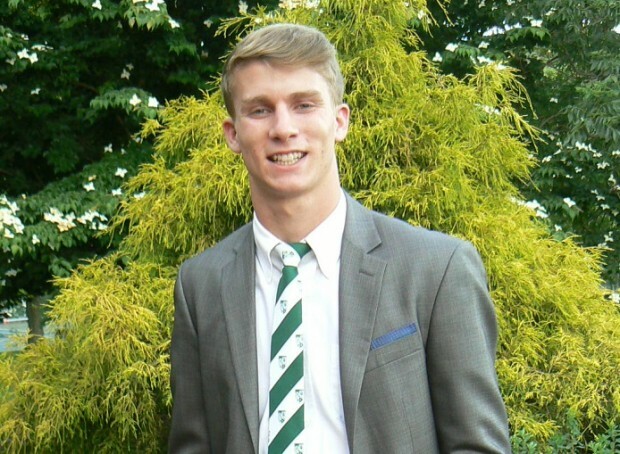 The first three audio testimonies were taken at the FBI offices in Pennsylvania, including one from John Heffernan, a rugby teammate of Mr. Dombroski’s. Mr Heffernan told officials that Mr. Dombroski “was having problems with his girlfriend” and thought they might break up. Mr Heffernan added that Mr. Dombroski “wasn’t overly distraught” about the situation. On the evening of the 17th, Mr Heffernan, Mr. Dombroski and a few others went to Docksiders. He said Mr. Dombroski nursed a ‘car bomb’, which is a type of whisky drink, but wasn’t drinking as much as everyone else. They later walked down Front Street and met up with other teammates at the Dog House. Mr Heffernan said he remembered talking to Mr. Dombroski later that evening but doesn’t recall what was said. Mr Heffernan recalled seeing Mr. Dombroski standing by himself for much of the time at the Dog House. Mr Heffernan and a few others went back to Warwick Camp, where the team was staying, sometime shortly after midnight. Teammate Brendan Mulqueen told officials that Mr. Dombroski was “upbeat, happy, and friendly” and that he was a “really nice guy.” He didn’t notice any unusual behaviour in Mr. Dombroski before Saturday night at the Dog House. Teammate Andrew Sullivan also gave testimony at the FBI office. He said that Mr. Dombroski seemed happy and excited, but that he was a little bit upset at how expensive drinks were. The fourth testimony came from a patron at the Dog House. She said she had gone there with her sister and had encounters with Mr. Dombroski, and said Mr. Dombroski’s eyes seemed “drowsy”.